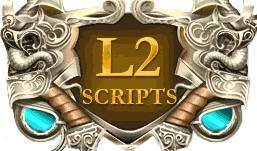 Dear friends, our studio is working since very long time and helps many lineage2 server on the web, in this page you will see only few clients we had, what we could remember. What we could find is written without any chronological order. This is main clients that cooperated with us over the last 11 years with la2 servers. In this list you can see clients that worked with us on lineage 2 turnkey projects, l2s-guard protection, website creation, layout, private cabinet and Master Account l2, unique events that were developed for chronicles: с4, c5, interlude, hellbound, gracia final, gracia epilogue, Фреи, High Five и до GOD Tauti, Glory Days, Lindvior, Ertheia, Odyssey, Underground, L2classic 1.0 - 2.8 (Seven Signs), Helios, Grand Crusade, Salvation, Orfen, Fufarion, L2classic (2.9) Secret of Emprire project server packs, unique la2 systems, work on php, java, html, mysql, xml, auto donation etc. Unfortunately many project siezed to exist, time will outrun all of us....but, many server are still alive and kicking.